Wow. What an amazing experience this workshop turned out to be! 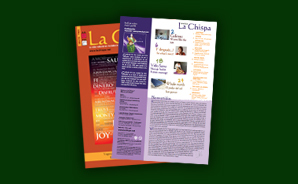 I had been invited to cover the International Congress of Sacred Sexuality from June 1 – 8 on the Costa del Sol, for la Chispa magazine. For a few days leading up to the workshop and especially on the journey there, I was getting increasingly nervous about what this workshop was going to involve. I was going to have to do. (The things I do for the Chispa magazine). I have to say, I was pleasantly surprised and am continuing to be surprised, daily, long after I embarked on this new adventure.The first day of this week-long congress turned out to be completely different to anything I expected. We remained fully clothed for a start, phew. After meeting everyone in the group and finding them all to be perfectly normal, lovely people, we spent the morning doing an interesting question/answer exercise with a psycologist, looking into the relationship between our childhood, relationship with our parents and spouses as children. I was surprised to find that I have issues that I never thought I had, which appeared to relate to events and relationships when I was young. After lunch, we did some Tantric breathing exercises, deep breathing into the stomach. First alone and then with a partner, one breathing in as the other breathed out. That became easy quite quickly and had a nice calming effect. Breathing with a partner also felt really comfortable and safe. The strangest exercise we did on that first day, called ´bonding´, was deep breathing while your partner laid on top of you, with most of their weight on you. It was surprisingly easy to take their weight as you are breathing through it the whole time. We did this for about 10 minutes each. On the second day, I was a little less nervous. There were a few others at the workshop who hadn’t been there the previous day, they were all really nice and it was easy to feel comfortable with them. The workshop was a week long, so some of the participants had stayed over night and were well into the days exercises when I arrived. The first thing we did, was the ‘bonding’ (with your partner laid on top of you) for about half hour each. I was on top first and had a very relaxing time, my partners breathing was really calming and I felt I was in a kind of meditation. Then I was underneath and after a while, there wasn’t really any discomfort from the weight of being laid upon and soon, it was as though the two of us had somehow merged into one being. After a time, I had an amazing spiritual experience where my soul and physical body became one. It was beautiful, it just didn’t last as long as I would have liked. When my partner was asked to slowly move away, it felt as though part of my own body was moving away from me. I was left with such a feeling of ´Wow, beautiful´. The ‘bonding’ wasn’t just between you and your partner, but bonding with yourself too, which was incredibly profound, for me at least. After each exercise throughout the day, we all sat in a circle to discuss what we had just experienced, a really important and interesting part of the course. Next, the bit I had been dreading and thought I’d got away with, we were asked to take our clothes off. It was a lot easier and more natural than I could have imagined it to be. I felt strangely comfortable with these people I’d only met a few hours before. They all seemed comfortable with it, so why shouldn’t I? We learned some Tantric massage, which teaches you to be sensual rather than sexual with a partner. It was all very pure and natural and very spiritual. And actually, quite pleasant! Since the workshop, I’ve had so many revelations about myself, a lot of stuff was unblocked and all sorts of different emotions have been releasing themselves daily. With two short days of learning from a great teacher, Martin, and a few days for my brain to process it all, I’m a changed woman. I feel more love towards myself and my friends and feel so much more connected to the rest of humanity and the earth. I feel softer somehow and calmer. I would love to do more with the Tantra and would recommend it to anyone, couples or singles, it will change your life for the better. So if you’ve thought about it and felt nervous, or not even considered it because of a particular impression you may have, lose your inhibitions and give it a go. You may be pleasantly surprised too. This entry was posted in Open Mind and tagged healthy living, yoga. Bookmark the permalink.